April 20th, at the Ben Robertson Community Center, 2753 Watts Drive. Kennesaw. Treat your family to a buffet including hot and ready pancakes, scrambled eggs and sausage as well as a medley of fresh fruit and delicious breakfast sweets. 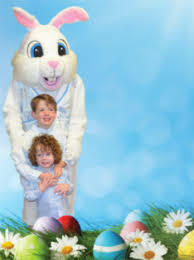 Everyone’s favorite cottontail will be making his way from table to table to say hello to all the boys and girls. Be sure to bring your camera to capture all the memories. Settings are available from 8:00 a.m. to 9:15 a.m. or 10:00 a.m. to 11:15 a.m. Tickets are only $6 per person and can be purchased at the Ben Robertson Community Center, 2753 Watts Drive. Advance purchase is required. Tickets are non-refundable after April 13. Call 770.422.9714 for more details.